This week we traveled to Worth County. 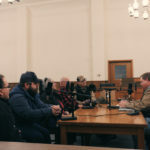 Our host, Scott Faughn was joined by Worth County Economic Developer Gene Auten, Allendale historian Vickie Miller and businessman Ben Abplanalp at the county courthouse in Grant City. Auten’s great-grandparents farmed southwest of Sheridan as did his grandparents. When his grandfather passed, his grandmother moved to Grant City. Auten said that his other side of the family did the same thing but from the Oxford area. Miller’s father was born and raised in Worth County and married her mother. “That’s all you knew, you got here and you loved it and you stayed,” she said. Abplanalp’s family has been in Worth County for seven generations. The farm that he lives on currently was started in 1869 and sits just on the line of Gentry and Worth counties, his grandpa was raised in the house as was his dad and him. 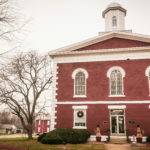 Worth County was organized on Feb. 8, 1861 and is one of the youngest and smallest counties in the state. It is named for General William J. Worth, who served the Mexican-American War. Be sure to listen to the podcast to hear about the statue of General Worth that is located in New York. Also, tune in to learn about why there is a Worth County and why the people wanted to be here. 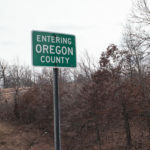 The county is located in the northwestern region of the state and according to the 2010 census the population was 2,171. The county seat resides in Grant City which is also the county’s largest city. The first settler was John Lot around 1840 who set up a place called Lot’s Grove, located in the northeastern part of the county. The Muscogee Indians were in the area until about 1853 when they left for a reservation in Iowa. 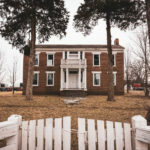 Be sure to listen to the podcast to hear about the different tribes that stayed in Worth County for some time and the artifacts that historian Miller still has today. GW “Squire” Frakes and Isaac Miller donated 50 acres to have the county seat be in Grant City. The people then had a vote and appropriate $600 for the courthouse. 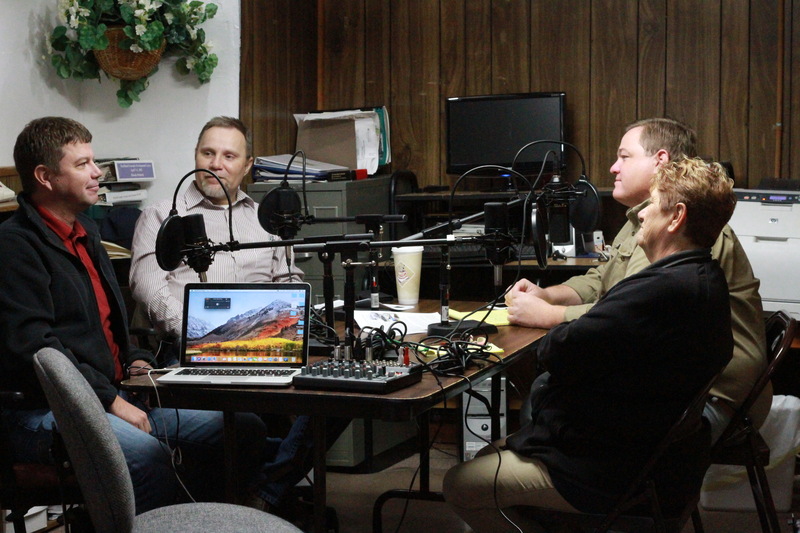 Be sure to listen to the podcast and hear some stories about Squire and his adventures in Worth County. The first courthouse meeting was on July 4, 1863. The first courthouse lasted for three years until it got burned down. The second courthouse lasted for a couple of decades before it got burned down as well. 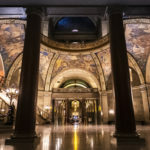 Listen to the full podcast and learned what happened when the second courthouse was burned down. Around 1899, the third and current courthouse was built out of brick. Worth County’s agriculture consisted of fertile soil, growing corn, cattle, hay and even sheep. Along with cattle and hay, the county now raises goats, because of the price. A few people still raise sheep, but it is not a primary money maker for the people of the county. 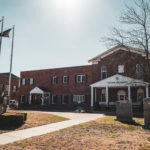 Be sure to listen to the podcast to hear about each town in Worth County and how historian Vickie Miller describes the towns as having different personalities in a family. 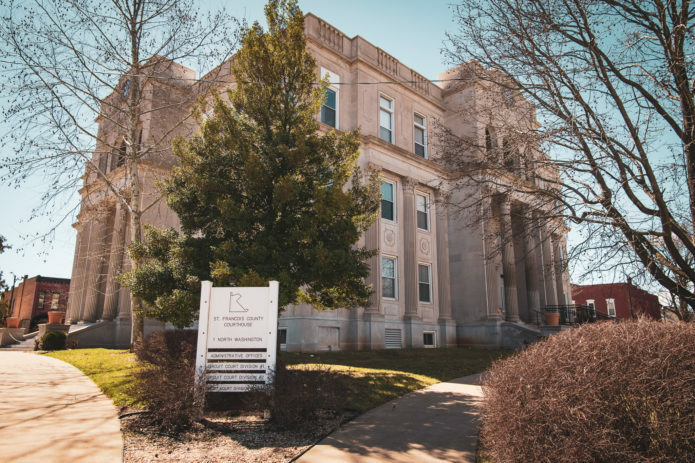 Some notable people who are from Worth County are Glenn Miller and Oklahoma Governor Leon C. Phillips. 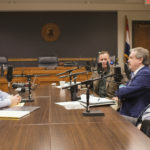 Tune in to the podcast to learn about their time in the county and what area of the county was featured in a Clint Eastwood movie. 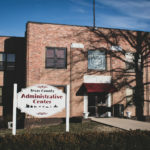 Worth County only has one public school district in the area, Worth County R-III School District (PreK-12) which is located in Grant City. There is also a library in the county, the Worth County Library Association. Politically speaking, Worth County is predominantly controlled by the Republican Party. Members of the Republican Party hold all but one elected position at the local level. 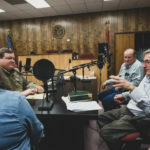 Be sure to listen to the podcast and learn about the history of the newspaper and how it helped the county. United Electric Cooperative serves Worth County. The guests also discussed Broadband and how critical it will be for the county as well as other rural counties in the state. Tune into the podcast and hear about the businesses in Grant City, like the unique Worth County indoor roller skating rink and how it brings people from the low Iowa cities into the town on Saturday nights. Our guests said that if you are ever in Worth County, you need to visit Allendale and let Vickie tell you why it’s a great place to live. Our guests said that they would want to take you to the golf course and the Emmett and Leah Seat Memorial Conservation Wildlife Area. Before leaving Worth County, we grabbed a bite to eat Oldtowne Cafe in Allendale.